I completed the base this week. I used 1” thick maple and cut it into 3” wide strips for the frame. I mitered the edges and used a biscuit jointer to attach the entire frame. I then attached two more 3” strips to the inside of the frame in order to support the frame of the drawers that will sit on top. To attach these strips to the frame I used pocket screws. I then attached the mahogany legs to the bottom of the frame using pocket screws again. Finally I added a ½” thick by 2” wide maple skirt around the outside of the legs to give the base a clean finish.And last but not least…. SPOIL ALERT…. I couldn’t help myself but to mock assemble all of the pieces so far. Here is a sneak peak of what the final product should look like! It's the time of year when we're all scrambling for a little more firewood because we didn't get quite enough over the summer. I always try to get my wood as close as possible to my home, if not off my own lot, but then again, I live in central Pennsylvania where wood is everywhere. Many of you folks live the cozy life in cities made famous by pro sports franchises (ok, I'm a little jealous), and you need to go a ways if you buy or collect a large amount of firewood. For this week I focused in on the detail, or at least the beginnings, of the coffee table legs. After using the CNC Router last week, I used a hand router to curve the edges and give a smoother look to the legs. Following this, I inserted a different bit into the router to cut the mortise for the mortise and tenon support joint. Since the mortise is located in the center of the leg, I had to use the hand router over other machinery in wood shop. Next week I will begin work on the tenon to be inserted between the two legs. The part of the tenon that extends past the legs will need to be smaller than the center to provide support and so the joint works properly. I forgot to mention in the last post that a groove has been cut in the top of the legs to allow for the laser cut tile inlay that will be added in the later stages. Since I had a day free before the IFQRG meeting began, I drove over to Bungendore, a small town on the Kings Highway of New South Wales near Canberra. It was there, at the Bungendore Wood Works Gallery, that my introduction to Australian woods began. BlackwoodAcacia melanoxylon Blackwood is distributed naturally from north-east Queensland to Tasmania but is most common in Victoria and Tasmania. 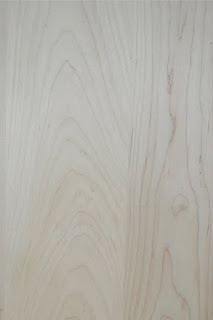 The strong dark wood is well figured and has an exceptional lustre. It varies in colour from golden honey to a rich chocolate brown, with white sapwood. It is used for furniture making, decorative wood work, turning and as panelling. Valued as a shade and ornamental tree it is also known as Black Wattle, Hickory and Sally Wattle. I've been on the road for the past three weeks, including twelve days down in Australia. I was there on three different missions: 1) to participate in the annual meeting of the International Forestry Quarantine and Research Group (IFQRG) in Canberra; 2) to tour the laboratory and port facilities of AQUIS, the Australian Quarantine and Inspection Service; and 3) to visit various Australian wood industries, galleries, and attractions. In so doing, I was able to take literally hundreds of photos and videos...most, unfortunately, don't precisely capture the essence of what I was trying to convey. Those of you who've been to Australia will understand what I mean. But in my next few posts I'll try to organize the images and topics into something that makes a little sense for purposes of sharing perspectives of wood-related issues down under. 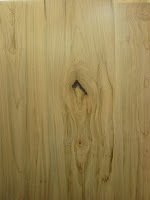 After our recent trip to Lewis Lumber Products, I picked out the type of wood I will be working with for this project. Keith helped me decide on "Wormy Maple" for its distinct features and as we described it, "rustic and Scandinavian look." Wormy Maple is also known as ambrosia maple and the small black holes throughout aren't actually caused by worms but rather ambrosia beetles. The beetles bore a network of tunnels throughout the tree and then a fungus creates the black and grey streaks we see. Neither of these features affect the structural integrity of the wood in any way. The ambrosia maple is common to the central part of Eastern United States.